Since reading of its many health benefits, I’ve made the switch from my usual morning cup-o’-joe for matcha green tea. It’s full of antioxidants, high in chlorophyll, and can aid in fortifying your immune system. Matcha is said to increase memory and concentration and also enhance calm. Couldn’t we all use a bit of that? 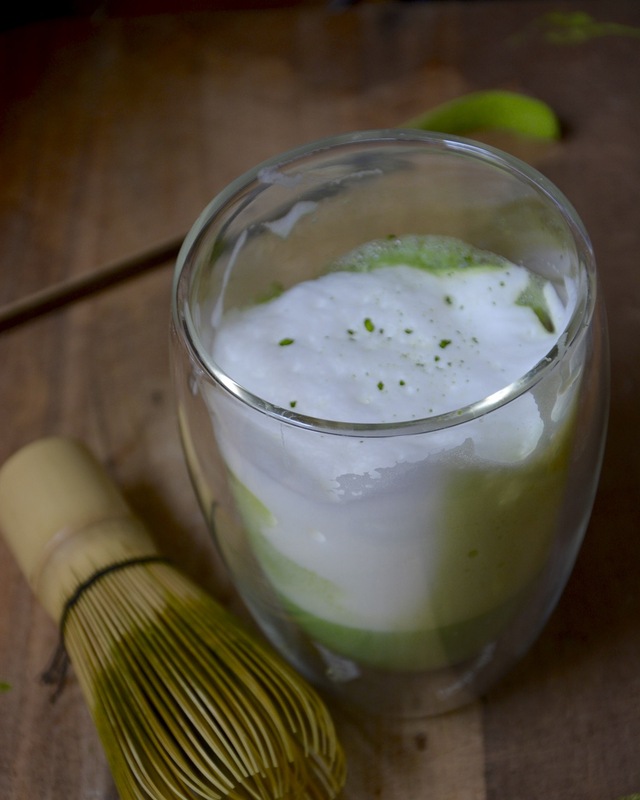 Matcha is made by using the entire tea leaf, which is ground, resulting in a fine, bright-green powder. This means, that unlike loose leaf teas, when you’re enjoying a cup of matcha you’re consuming and benefiting from the entire leaf. One cup of matcha is said to have as many antioxidants as 10 cups of loose-leaf green tea. Typically, I enjoy my matcha the traditional way, but this morning I decided on a matcha latte.